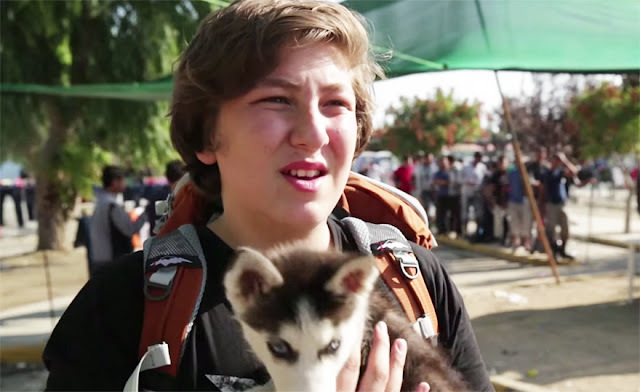 Aslan, a 17-year-old Syrian refugee who fled to the Greek island of Lesbos, didn’t complete the 500km (310mi) journey alone – he had his little puppy named Rose for company. In an interview with the UN’s Refugee Agency filmed on Lesbos, Aslan, in broken English, explains his relationship with the dog; “I love this dog. I need [her. ]” Besides his backpack, he also has a carrier for Rose, and even made her a passport! Given the many dark and tragic events that have come out of the Syrian refugee crisis, it’s nice to see a story full of hope and compassion. We wish Aslan and Rose a safe journey!